Think about how much time you spend in your kitchen. We know, it’s a lot. Whether you are preparing meals or not, somehow the kitchen always seems to end up being a central gathering spot in the home. When you are designing a kitchen from scratch, you have the chance to make a room that you will love. Whether you want something traditional or something contemporary, you want to turn your dream into a reality. 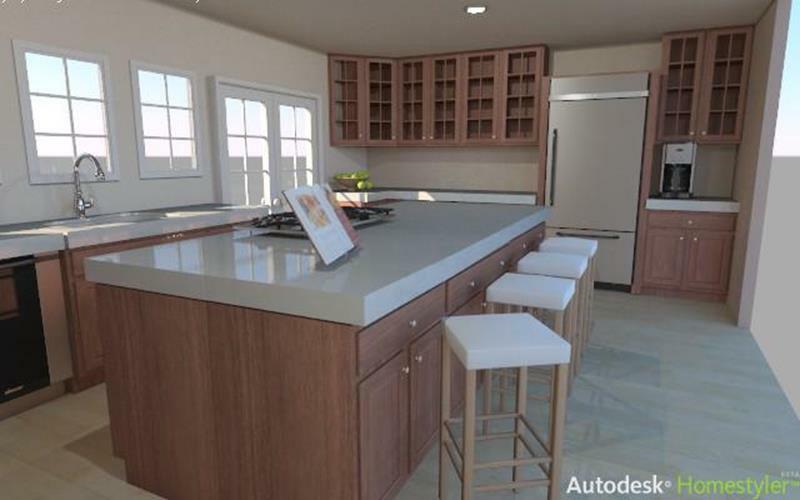 We have gathered some of the best kitchen design software programs, both free and paid, so you can visualize your kitchen before you start to build it. You will love these options, so take your time and find the best one for you. Homestyler has a great Auto Desk software that lets you do a lot for free. They don’t specialize in just kitchens, but the program offers a kitchen module that really does a great job. The program will walk you through the planning from the beginning. You will choose a layout and they the specific items that go in the kitchen. They also have a great mobile version, so you won’t be tied to your desktop. When you are finished designing, you can take a 3D walkthrough of your final product. With one click, you can export professional drawings. Planner5D is another software that is made for designing an entire house but also have a great kitchen module. It also has a desktop and mobile option. The 3D renderings really look great and they show amazing details. 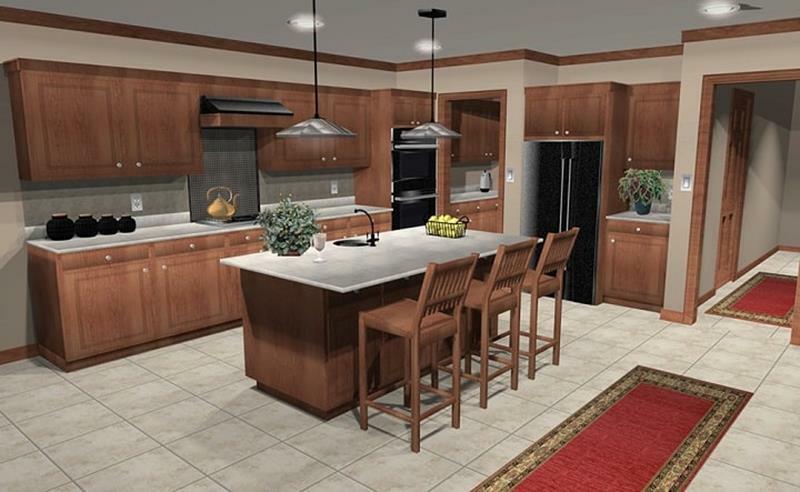 Use the software to plan the whole kitchen out and simply click a button to take a 3D walkthrough of your design. There are some premium features that you can only get if you pay for them, but the free version really does a great job. We’ve featured Smartdraw on our website before and there is a reason for that – it works. This is another software that has a free and premium version, but the free one is fantastic. There are many quick-start floor plans to choose from, or you can design your own. You have a library of thousands of visuals for furniture, fixtures, appliances, etc. Smartdraw works seamlessly through all operating systems and lets you share from device to device easily. When you finish your design, you can export through PDF and PNG formats easily to Office or G Suite. Believe it or not, Lowes has some good home design software. Of course, they want you to design with them then spend your money with them buying everything you need, but that’s okay. Their software works. With the Lowes software, you can design your own floor plan from scratch or choose from their pre-made plans. The software is all based through your browser, so you don’t have to install anything on your computer. Just click from the many items in their library to add different appliances and cabinets to your design. Choose your colors and finishes as you go along. You can see great detail and quality in 3D. We love free software that has great 3D renderings. 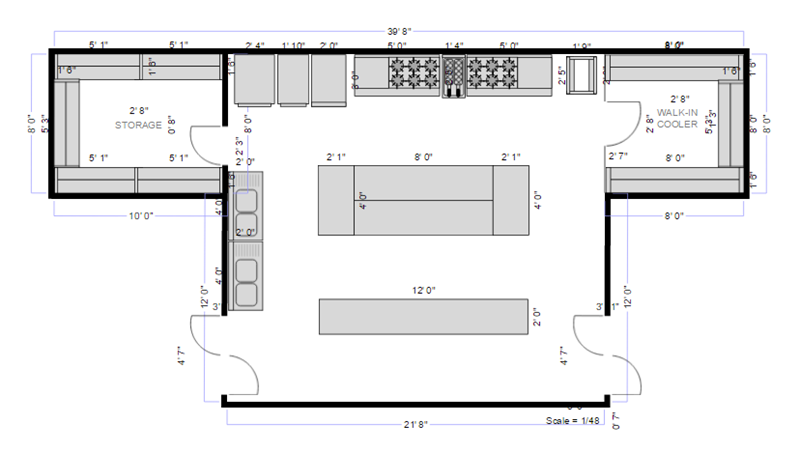 With Roomstyler, you are starting with a layout and then adding in all of the items you want in the kitchen. This free software dives a bit further than the others, as you can add in the smaller items that are common in the kitchen. 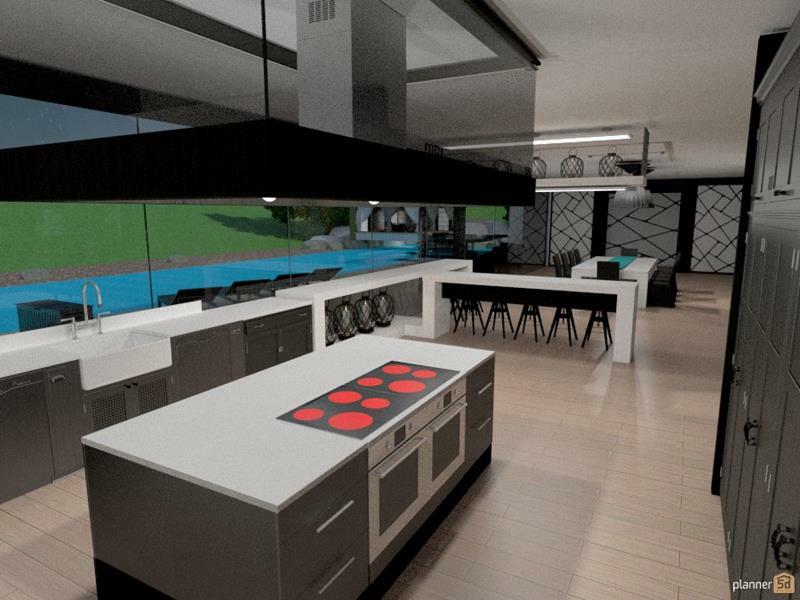 Now you can see what the space will look like with dishes, small appliances, and utensils. The software is all operated through your browser and you can save your progress along the way. There are plenty of video tutorials put out by Roomstyler to help your design process. We love this software because it specializes in just a few things – the backsplash and cabinets. We know that you might not be looking for a total kitchen makeover. Sometimes changing the backsplash or cabinets changes the whole dynamic of the kitchen. With this software, you can choose from thousands of great designs. You can select different colors and designs and change them as much as you like to find a combination that works for you. If you are simply looking to change your backsplash, cabinets, or both, this is the free software to go for. It keeps the clutter down and does exactly what you need it to do. Their website comes full of helpful advice, so you will always have help. We put this software here on our list, not because it isn’t great, but because it is focused on designing a kitchen with all Ikea items. Most people either love Ikea or they don’t, but if you are one of the people who love them, then this is the route for you to go. 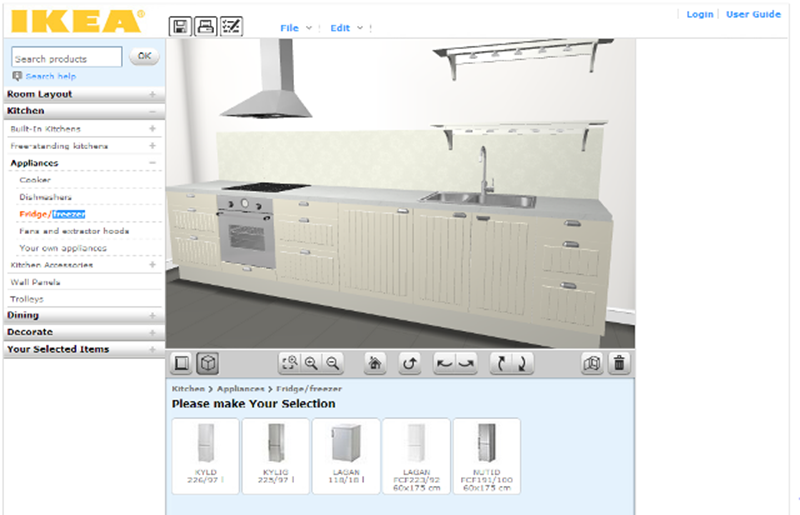 This software is easy to use and will take you step-by-step through the kitchen design process, from the layout to adding in all the items that Ikea makes for the kitchen. Their hope? That you will buy an all Ikea kitchen. It is worth a try, especially if you want to check out their prices compared to what you are already planning on spending. 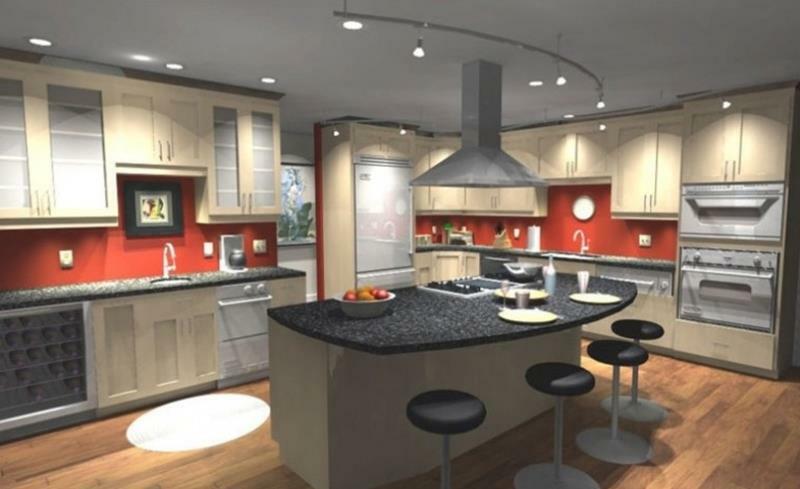 Did you ever imagine that you would be able to put on virtual reality goggles and view your designed kitchen in a real 3D walk through? Well, with ProKitchen Software you can do just that. We’re starting out our paid list with a software devoted to kitchens. It works with both Mac and PC and lets you choose from hundreds of manufacturers catalogs. When you choose a layout, whether pre-selected or one you design, you can drop so many different items into the kitchen. Exporting the designs is easy and the whole process is easy to learn. We’ve brought you Chief Architect before and they are back again. Chief Architect is huge in the home design software industry, so they are almost always going to be included. The Home Designer software really isn’t that expensive, so it is very popular. 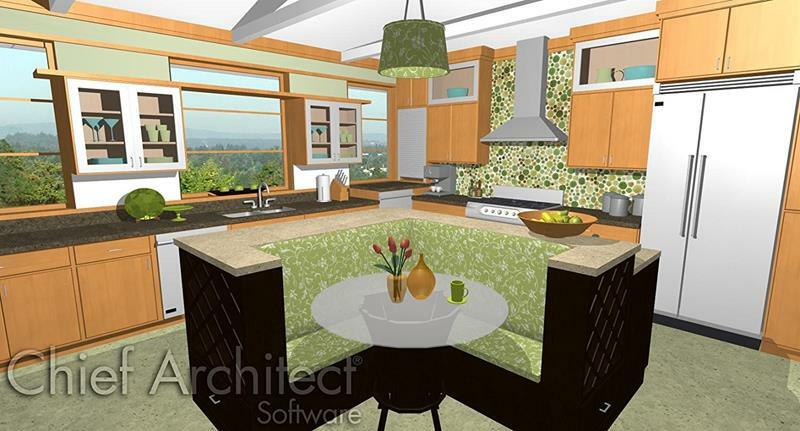 The software package lets you design the entire home, including the kitchen. With thousands of items to choose from, and a range of floor plan options, you will love how easy this is to use. When you are finished, you can easily export your final design into full blueprints. You have a whole host of helpful support and videos from the company, making your design process flow smoothly. First, let us just say that 2020 offers a 30-day free trial. You could design your kitchen in that time and never have to sign up for the premium version. But we will also say that the paid version is fantastic. This software was created specifically for kitchens and bathrooms, so you have specialized functionality for your design purposes. You start from the layout and move on up, with thousands of products to choose from for your kitchen. You can adjust the lighting so that you know how your color choices will look any time of day. 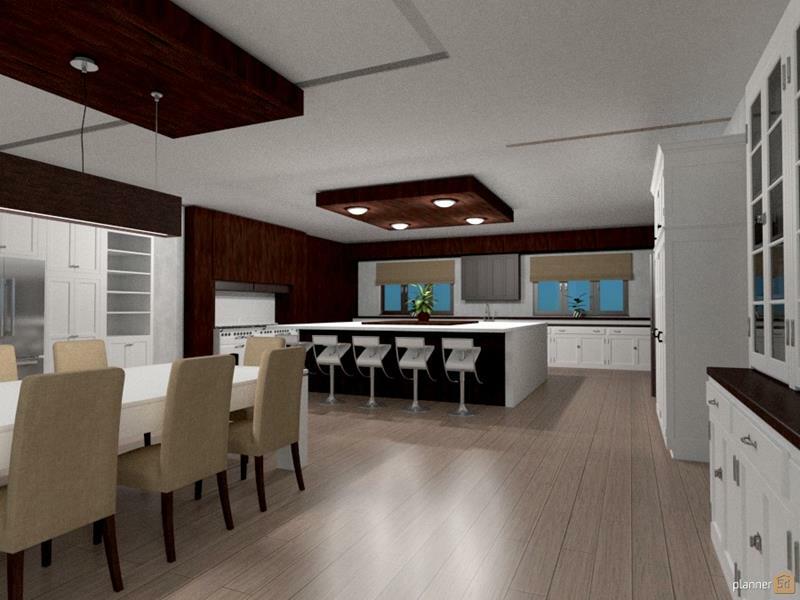 The 3D renderings are amazing and give you a realistic view of how your design will look. This software is easy to use and has plenty of new features for the newest update. As with the other software we have features, it takes you from the floor plan all the way through to the finished product. You will get a cost estimate as you go through, realistic 3D visualizations, electrical planning, and HVAC planning. Inserting items like cabinets and appliances into the kitchen is as easy as clicking and pointing and they have plenty of options when it comes to styles and materials. When you finish, you can export your designs and print them out. We’ve brought back Punch! Software for kitchens because they always seem to have great designs. Once you get past the slight learning curve, the possibilities for design are endless. You can get your whole kitchen designed and get full blueprints for it. Punch! Offers amazing visuals so you can really understand whether or not you are making the right design choices. 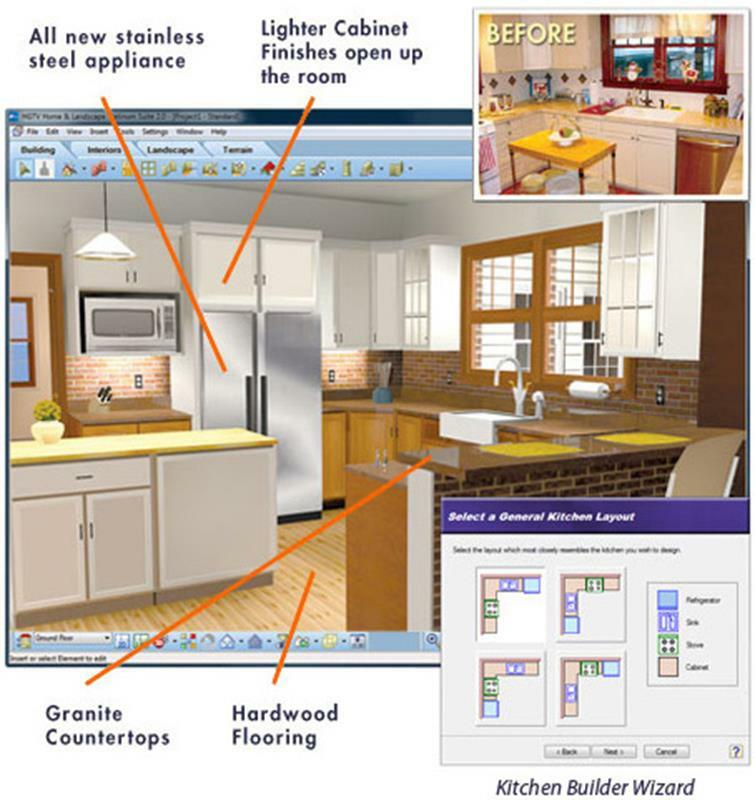 With so many options to choose from, planning a kitchen with this software is a breeze. They offer videos and online support for every step along the way. We’ve given you the options and we’ve tried them all out. So, which ones do we like the best? Best Free Option: Homestyler Floor Planner. 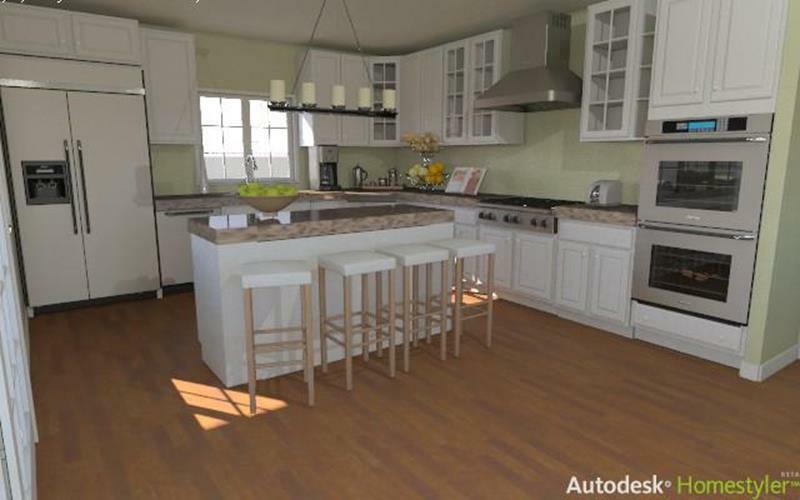 They have such realistic 3D designs that you can get a fantastic idea of what your kitchen will look like when you are finished. They walk your through the whole process. Best Paid Option Punch! Software. The possibilities with this software are the deciding factor here. 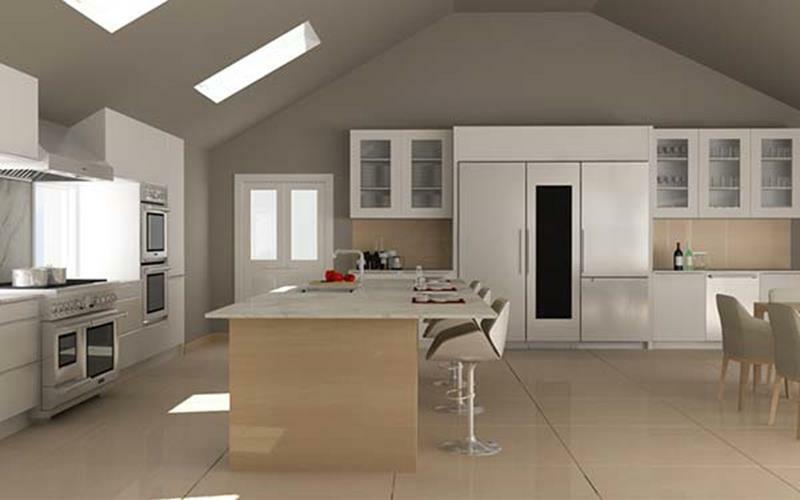 The whole kitchen can be brilliantly designed and the full blueprints made available. 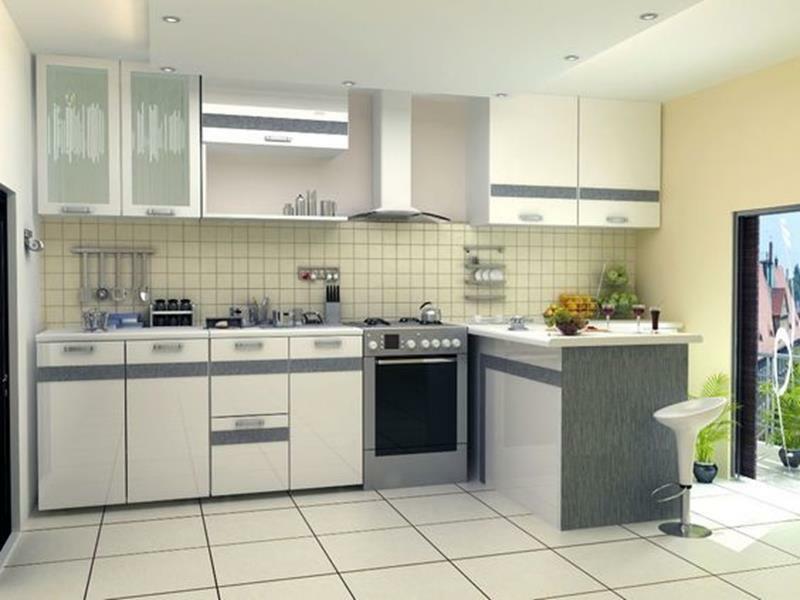 The visualis provided will help you get your kitchen completed.